Kroegers Ace Hardware has been doing business in Durango, Colorado since 1921. We have always been on the cutting edge of Guest Services. The Kroeger family believed that the Customer always comes first, and we continue to believe it to this day. Kroegers Ace Hardware started as a small feed and grain company which also had some hardware. Over the years we have added more and more to our Hardware product line, and now we are a 28,000 sq ft retail business which can meet just about anyone's hardware needs. 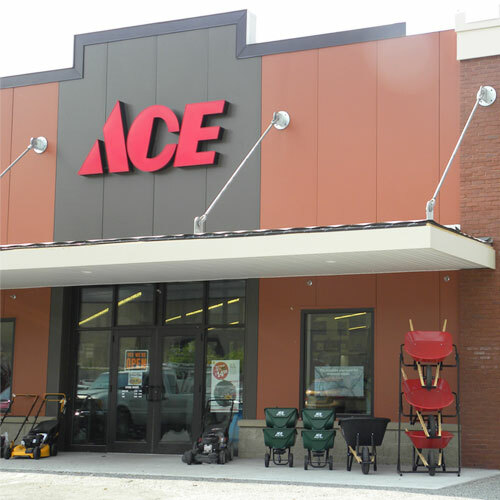 In 2001 Kroegers partnered with the Ace Hardware Corporation to improve our store even more. The partnership has taken Kroegers to a whole new level. We have a huge selection in our stores of Paint, Hardware, Electrical, Tools, Plumbing, and Lawn and Garden supplies. Also many items not found in a typical hardware store such as Hobbytown Express, Yeti Coolers, Stihl Outdoor Power tools, a Hallmark Gold Crown store and a large Housewares and Gift Department. Mercy Health Foundation 5K Run and Walk Primary Sponsor. Support of kids in 4-H who learn to raise animals in a humane way, and they learn business skills. Our local community Soup kitchen for those in need of a little extra help. Gifts and Clothing for the less fortunate in our community.